Josue was born in Tijuana, Baja California, Mexico. His father was a bi-vocational City Bus Driver and Church Pastor. Josue accepted Christ as his personal savior in 1983. He has been married to Mimi for 20 years and they have one daughter, Viannea. Josue's radio career began in 1988 in San Diego. His career has taken him to positions in stations in San Diego, Oxnard, Albuquerque, Los Angeles, Phoenix, Austin, and now Chicago. He has worked in stations formatted as Jazz, Adult Contemporary, Urban AC, Oldies, Talk, Contemporary Christian, Christian Teaching/Talk, Regional Mexican, Spanish Pop and Spanish Adult hits. His positions have included Air Personality, Production Director, Program Director, Operations Manager, VP of Programming and currently Operations Manager of WMBI FM/AM in Chicago. Josue has previously served as Youth Pastor, Associate Pastor, Interim Lead Pastor and Worship Director in San Diego. He and his wife, Mimi, served as certified Marriage counselors for N.A.M.E. (National Association of Marriage Enhancement) in Phoenix, AZ and managed N.A.M.E.’s audio production department and onsite conference translations for their Spanish ministry to Latin America. 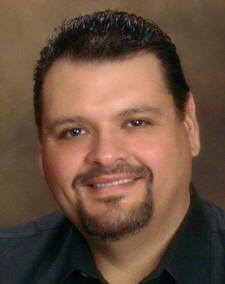 Josue has been the Operations/Program Manager of WMBI FM/AM (Moody Radio Chicago) since January 2013. 1. Tell us about your role at Moody Radio? Moody Radio owns and operates 36 stations in 11 markets including the flagship stations in Chicago which I oversee, WMBI FM/AM. The Moody Radio Network also provides content to more than 700 stations. As Operations/Program Manager of WMBI FM/AM, I oversee a team (both English and Spanish speaking) that creates and delivers impactful content filled with solid, biblical insight that encourages and helps people take the next step in their personal relationship with Jesus Christ, while impacting their communities for Christ. 2. What is the best programming advice you've been given? Know your product. Know your listeners. And, know your market. Create a plan and execute it. Give your listeners what they want. Serve your staff like there’s no tomorrow. Always give your best effort, then a little more. 3. Regarding your career, what are you most proud of? I was blessed to lead and be part of a team that was honored with a Marconi Award for Radio Station of the Year in 2004. Plus, I have been blessed to do something that I love to do for over 25 years now. How many people get to say that?! 4. What is the one thing you must have to do your job every day? A “must have” for me would be a willing staff and supportive leadership. Does that count as one thing? 5. Where will future Christian radio air talent come from? I believe future Christian radio talent will be coming from many places, if we have our eyes open and are willing to develop them. One of the first places where Christian radio talent will come from will be general market radio. These individuals have a great understanding of general radio practices and techniques. They have an understanding of how to engage the radio listener. The second place is unconventional places like restaurants, customer service industry, customer engagement and retention industry, social media content creators, bloggers and Vloggers. The latter of the group have a deep understanding of how to connect with and generate interest within the general public utilizing compelling content and techniques that are not customary in radio. Of course, radio techniques, execution of radio fundamentals, and best practices for radio will need to be taught. But, Christian radio will provide a place where they can live out their faith more openly through their work. 6. Do you feel syndication is good or bad for Christian radio? Syndication can be good and bad; depending on how, how often, and where is it being used? There are a number of syndicated programs that have really made an impact on lives, and as result affected families, churches and communities. Syndication provides programming content that many local stations would not otherwise be able to provide on their own. Syndication can be bad for Christian radio when it is used merely as a cost-savings tool. That could put a self-imposed financial limit on the organization and limit its ability to impact the local market it serves. It could also result in the loss of some great future broadcasters. 7. Generally speaking to the industry what are the biggest obstacles facing Moody Radio? A few obstacles that come to mind would be that we have to find new and creative ways to seek new listeners to Christian Radio, whether they are Christians or not. Only a fraction of weekly church attenders listen to Christian Radio. That is a big area of opportunity. We need to find a way to make Christian Radio more visible and appealing to believers and non-believers alike. Let’s find new ways to tap new revenue streams to better fund our operations and provide resources for marketing/promotions, and we need to grow and groom the next generation of Christian broadcasters. 8. Who are your radio heroes and influences? and why? I don’t necessarily have radio “heros.” What influenced me the most was a general style of how radio was done over the last three decades. Having grown up in Southern California, I was influenced by, and can recall stations like KCBQ, KGB. KFMB, XPRS, XETRA, KSON, KHJ, KFWB, KFI, KNX to name a few.